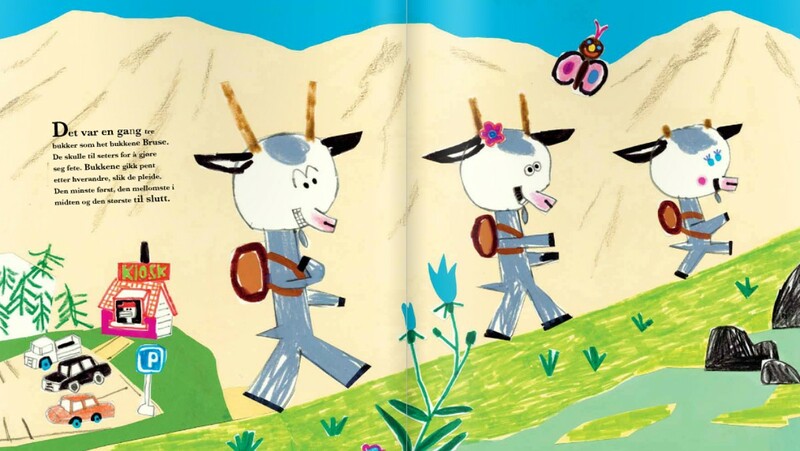 The three Billy Goats Gruff are as usual on their way up to the meadow to eat and get fat. But on the way they see a new sign: “Water Park – 200 meters.” The middle goat says; Oh, couldn’t we go there instead this year. It is so boring up on the meadow… Please, says the youngest, then we don’t have to cross the scary bridge either. So they go to the water park. 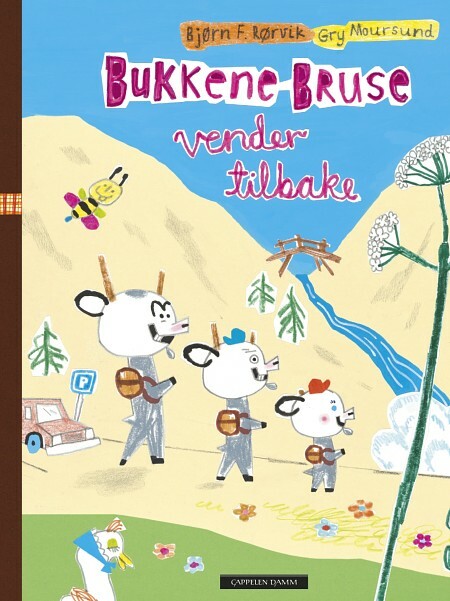 The first children’s book about the Billy Goats Gruff who went to the water park has become a favorite among young Norwegians. Since its release in 2009, “Billy Goats Gruff at the Water Park” has been printed in 21 editions. Only Roald Dahl’s children’s books and the Harry Potter series have gained such popularity in Norway. Author Bjørn F. Rørvik tells NRK that the book “Billy Goats Gruff at the Water Park” was born by coincidence the time he was asked to form a Norwegian team at a Nordic picture book conference in Stavanger a few years back. – It seemed like an impossible task, and I thought I had made a big mistake by accepting the challenge. I did not have any ideas, Rørvik says. Gradually, he began to think of “Billy Goats Gruff” and wanted to do something with the traditional folktale. – First, I thought they would go to a spa and Gry (Editor’s note: Gry Moursund, illustrator) drew a goat in a bubble bath with a back scrubber. In the car on my way home I thought the goats would go to a water park, and then the thought of what would happen if the troll followed them occurred. 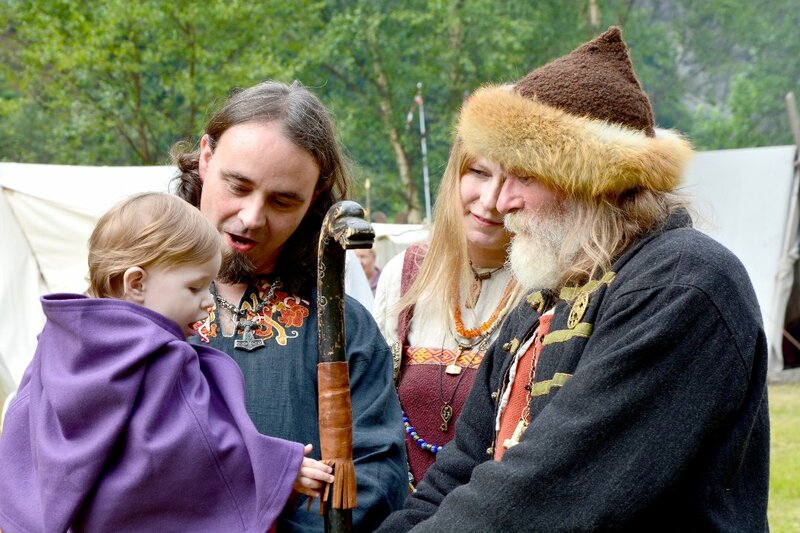 Rørvik wanted to take care of the old fairy tale so he has kept the old lines. The book has become popular both among Norwegian children and other authors. It portrays the traditional folktale with humor that both children and adults find amusing, being original and playful at the same time. The book is printed in 21 editions which is so exceptional that few had imagined such a success. In May, the second book “Billy Goats Gruff Returns” was released. The author and illustrator have taken some new approaches in the plot of the old adventure. The 300 year old troll is now in a retirement home and creates fear among both residents and visitors. The books have analogous drawings so that readers are able to recognize the technique and tools. There is something liberating unpretentious with drawing tools that we all know from a regular pencil case, says illustrator Gry Moursund. Since its release in 2009, the book won several awards for its playfulness, creativity and humor.